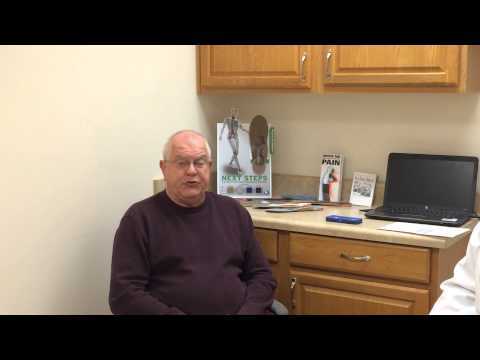 "I came in with frozen shoulder that I've dealt with for 6 months after a fall. My orthopedic doctor wanted to do physical therapy, but I chose Dr. Kelley from a referral - so happy about my decision. My shoulder has progressed beyond my expectations and an added benefit was my neck. A 20 year old problem with my neck is 80% better! I have range of movement I haven't had in years. I just took a trip and flew on an airplane, and it's the first time I've experienced no problems on a trip! Dr. Kelley and her staff create a superior atmosphere. My husband said "best money we've ever spent!" So happy! Thank you Dr. Kelley!" "Before coming to Charlotte Spine & Pain Relief Center, I had been suffering with severe neck and back pain for the past 30 years due to an automobile accident. I had tried chiropractic care and pain medications before, but when I discovered the spinal decompression treatments at Charlotte Spine & Pain Relief Center, I knew I had finally found something that was going to work for me. I begin to notice a huge difference on the 3rd treatment and my pain was becoming less with each treatment I had. I now have more mobility in my neck and back and I will no longer have to give up the hobbies I once enjoyed such as building old cars and exercising. I used to take 4 Ibuprofen each night before bed to help with pain. I no longer take any pain medications! For those who are considering treatment on the DRX9000™ here at Charlotte Spine & Pain Relief Center, please do not procrastinate! I waited over a year then. Please do not wait and let your condition get worse before you come in for your consultation. I really appreciated how straight forward they were with me during my evaluation letting me know how serious my condition was and that I could be helped. Decide to make a change now because it works!" - Rickey T.
"Before coming to Charlotte Spine & Pain Relief Center, I was suffering from severe stabbing pain in my hip and the back of my thigh, all the way down to my knee. After just one treatment on the DRX9000™, I noticed a huge difference and was able to stand up straight with very little pain. I continued to feel better after each treatment and am now back to the activities I was once limited to just a couple of weeks ago. I am finally able to sleep in my bed instead of my Lazy Boy! It is truly as close to a miracle as you can get to go from severe stabbing pain to NONE!" - Susie W.
"I decided to come back to your office when I could no longer live with my pain. I wish I wouldn’t have waited so long to call you. I had been suffering for 10 weeks with sharp, intense neck pain that was running down my right arm and into my hand. I couldn’t use my right arm. My neck and shoulder would hurt when I walked for any distance. My fingers would go numb. I was miserable! I had tried the orthopedic doctor before coming to see you. He prescribed muscle relaxers, hydrocodone for pain, and sent me for physical therapy. None of these things gave me significant, lasting relief. When I started treatment with you, I felt relief by the second week, and now I feel wonderful! You have fixed my problem instead of covering it up with medication." - Cathey B.